Royal little Taimur Khan’s dearest mommy, Kareena Kapoor Khan has finally opened up about her fitness goals. During her pregnancy, she set a new trend and inspiration for all the expecting women out there. Kareena taught them not to only feel comfortable in their own skin during their pregnancy, but she also gave them the right motivation to flaunt their ‘perfect’ body without having to be conscious in it. 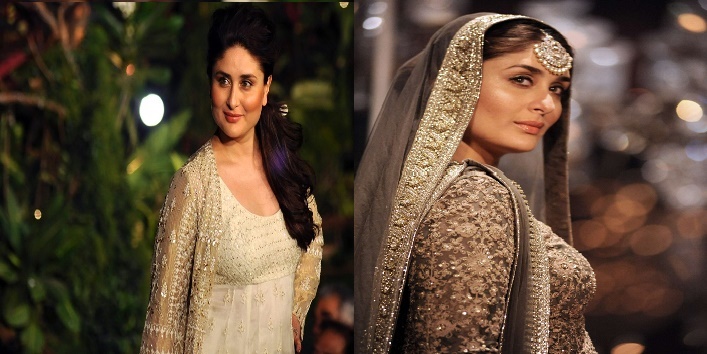 Kareena is a perfect ideal for those who find a great balance for work-life. She chose elegance and style while posing for the shutterbugs in her expecting phase, and it feels like nothing can stop her even after pregnancy either. She is leaving no stone unturned to get a fitter body and radiant look all over again. Also read: From FLAB to FAB, The Weight Loss Journey Of Bhumi Pednekar! What is the Secret After All? As per the media reports, the reason behind Tashan star being back to fit and slim is her newly found love for Yoga. Kareena decides to sweat it out with her bestie Amrita Arora, attaining towards the set goals to achieve the ideal weight. Both the ladies are known to be great fitness enthusiasts, who have turned towards Yoga to continue their fitness sessions and are often seen to be snapped after their regimes. Well, if you are unaware of the amazing benefits of having a partner while working out then you must know them now! You know your partner will be there to push you towards doing those pushups or crunches that you are planning to avoid this day. Or they’ll be there to boost up the competition between for who will have the fitter body! This will add a little fun element in your workout routine. It generally leaves a positive impact to have a workout partner for the daily fitness regime. Kareena talked about her post-pregnancy weight and her plans to shed those extra kilos, a while ago. She insisted on eating the right and healthy food and avoiding all the junk or crash diets, to lose weight and maintain a healthy body. Kareena also talked about her nutritional diet with her nutritionist Rujuta Diwekar, in a Facebook Live Session a while ago. She insisted on ‘watching’ your food rather than eating it mindlessly. If you want to lose weight or even are trying to maintain your fitness level, you must keep a watch on your food and not consume anything or everything thoughtlessly to fill up your belly. Eat healthy and colorful, and only as much as your body requires. Taste should not matter to you but the quantity and quality must! Also read: 9 Unfamiliar Hacks To Shed Those Extra Kilos Fast! This was Bebo’s ultimate secret that she follows by all her heart, to stay fit and healthy! Share your secrets with us in the comment section below.